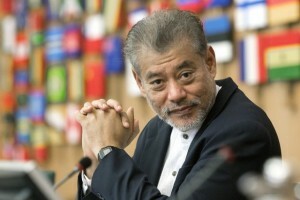 Jomo Kwame Sundaram was United Nations Assistant Secretary-General for Economic Development and received the Wassily Leontief Prize for Advancing the Frontiers of Economic Thought in 2007. KUALA LUMPUR, Malaysia, Jul 28 2016 (IPS) - A US government agency acknowledges that the Trans-Pacific Partnership (TPP) will not deliver many economic benefits promised by its cheerleaders. The 2016 report by the United States International Trade Commission (ITC) acknowledges that the TPP will not deliver many gains claimed by the US Trade Representative (USTR) and the Peterson Institute of International Economics (PIIE) although it uses similar methodology and assumes that the TPP will not change the US trade deficit as a share of GDP. The ITC’s credibility has declined over the years as it earned a reputation for cheer-leading FTAs. It had grossly underestimated US trade deficit increases following virtually every ‘free trade’ pact it assessed. Its projections understated the large US deficit increase with Mexico following the North American Free Trade Agreement (NAFTA), the huge trade deficit explosion with China following ‘permanent normal trade relations’, and the trade deficit spike with South Korea following the US-Korea trade agreement. To assess the impact of the TPP, the ITC used its variant of a computable general equilibrium (CGE) model modified to take account of foreign direct investment (FDI) effects. To be sure, the ITC accepts growth to rise due to a significant increase in FDI, although there is no strong evidence or even logic that the TPP provisions will ensure the increase in FDI and growth projected. In fact, the procedure used involves many arbitrary elements, such as the impact on the OECD’s Regulatory Restrictiveness Index (RRI), and the impact of the latter on productivity, FDI flows and GDP, both in the US and abroad. However, the ITC accepts only a fraction of the overall growth attributed to ‘non-trade measures’ (NTMs) by the 2016 PIIE — and World Bank — assessment, effectively rejecting many claims of growth attributed to other NTMs. Thus, for example, the ITC estimates exports will increase by only 1% due to NTMs by 2032 as against the PIIE’s estimate of 9.1% by 2030. Thus, the economic gains from the TPP are much more modest for the ITC, with US GDP growing by only $42.7 billion (0.15%) by the year 2032, or by an average of less than 0.01% annually. Indeed, the ITC found that US manufacturing output in 2032 would be $10.843 billion lower with the TPP than without it, with manufacturing employment lowered by 0.2%! And while vehicles production would gain, automotive parts, textiles and chemicals output would contract. Overall projected gains to US real national income are $57.3 billion, or 0.23%, by 2032, implying an average annual increase of slightly over 0.01% over the next 17 years. The much larger increase in US national income compared to GDP suggests that the TPP will significantly increase (mainly corporate) income from economic activity abroad, presumably from outward FDI. It is not clear how much of this is due to enhanced intellectual property rights (IPRs) or TPP-related financial liberalization, or if such income changes have been considered. An alternative possibility is that the terms of trade will change sufficiently in favour of the US. The ITC expects the TPP to have small positive effects on the US economy. Dropping the usual CGE modelling assumption of an unchanging trade balance, it adopts a controversial methodology to project changing trade balances. According to the ITC, US exports and imports would be $27.2 billion (1.0%) and $48.9 billion (1.1%) higher than ‘baseline projections’ without the TPP, thus increasing the US trade deficit to $21.7 billion in 2032. It projects that US exports to new TPP and other FTA partners would grow by $34.6 billion (18.7%) while US imports from them would rise by $23.4 billion (10.4%). The ITC projects increased exports of $27.2 billion in 2032 (in 2017 US dollars), less than a tenth of the PIIE’s projection of $357 billion in 2030 (in 2015 dollars). It expects manufactured exports to rise by $15.2 billion, while such imports would increase by $39.2 billion, increasing the net manufactures’ trade deficit by $24.0 billion. Although US services’ output is projected to increase by $42.3 billion (0.1%) due to the TPP, the net services’ trade surplus is expected to contract as the increased services’ imports of $7.0 billion would exceed the increased exports of $4.8 billion. Exports of services to non-TPP partners are projected to fall by $11.8 billion, less than the projected increase of $16.6 billion to TPP partners. The ITC report also projects worsening trade balances for 16 of the 25 US sectors it featured, including vehicles, wheat, corn, auto-parts, titanium products, chemicals, seafood, textiles and apparel, rice and even financial services. It projects a declining market share of US manufactures, natural resources and energy of $10.8 billion as such exports increase by $15.2 billion while imports rise by $39.2 billion by 2032. In the US, agriculture would gain most, with output $10.0 billion, or 0.5%, higher by 2032. However, the costs and implications of the still growing US agricultural – including biofuel – production subsidies are largely ignored in the report. While dropping the typical CGE modelling assumption of constant labour supply, the ITC nevertheless seems to assume that the economy naturally tends to full employment. It thus projects overall employment will increase by 128,000 full-time jobs, or by 0.07%, due to the TPP. The trade deficit increase due to TPP implementation would result in 129,484 American job losses, including a manufacturing employment drop of 0.2%. Hence, this has to be largely attributed to services employment growth despite the expected fall in the services trade surplus. Even if a more comprehensive and balanced assessment of the costs and risks of TPP provisions finds the potential for improved net economic welfare for all in all TPP countries (which the ITC report does not claim to show), TPP measures will not compensate losing participating economies and stakeholders. And while there may be measures available for beneficiaries to compensate losers in some national economies, nothing in the TPP itself will ensure such compensation, let alone adequately compensate those who will lose. Furthermore, the ITC analysis does not seem to consider public health and consumer welfare losses due to higher prices, and reduced access due to broader, stronger and longer patent and copyright protection — although higher prices for pharmaceutical drugs, software and other forms of intellectual property will impose substantial costs on the public and governments. Implementing the TPP will greatly profit some large corporations, especially those getting IPR and financial rents. Meanwhile, real incomes for employees, especially the less skilled, are likely to be further depressed, as in the past, due to international competition following trade liberalization. Compensation for such losers is virtually unheard of in developing countries, and declining in developed countries, as they are hardly ever advocated by current conventional wisdom, let alone in the TPP Agreement’s 6350 pages.